Sam Cooke, The Beatles, Bob Dylan, The Louvin Brothers & more! As in past years, I’m a bit woozy today after yesterday’s all-day drive up the East Coast from North Carolina. My head still swims with the sights of barbecue joints and crabcake stands, and roadside shacks where one can get smoked ham and sausages, local peanuts, and fireworks to celebrate it all. But it’s good to be home, where the daffodils are in full blown bloom, even if the lawn still struggles against the moss and hemlock. The American South is a wonderful place to visit; I like seeing the world, and though I’ve been to more countries than states, the diversity of the US pleases me. But the beach-to-woods geography and seasonal shifts of the American Northeast feel right, somehow. With a few tiny stints out of bounds, I’ve been a Massachusetts-based New Englander all my life, and I expect to be one for the remainder of it. James Taylor likes Massachusetts, too. And by the time I wrote the original feature below in 2008, I’d already been promising myself a feature post on good ol’ JT for ages. 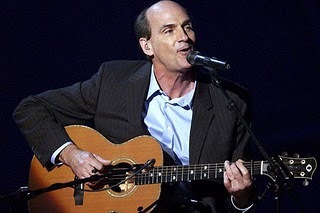 What better way to celebrate our triumphant return from a week in the Carolinas than with a resurrected 20-song megapost on the coversongs of this incredible singer-songwriter plus a 10-track Single Song Sunday bonus set of You Can Close Your Eyes – my favorite James Taylor composition? 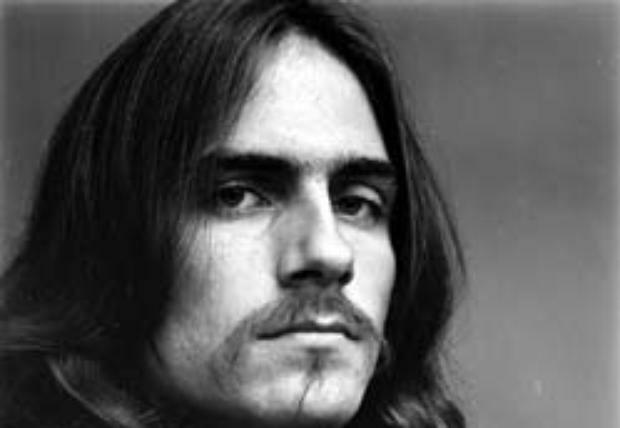 And so, ladies and gentlemen: James Taylor, Massachusetts resident and one-time North Carolina transplant. Born in Boston, James Taylor spent his adolescence in Chapel Hill, North Carolina, where his father was Dean of the UNC School of Medicine. But the family retained strong ties to Massachusetts, summering in Martha’s Vineyard; James attended boarding school at Milton Academy, and when he struggled with depression in his early adulthood, he headed for McLean’s Hospital, a stately suburban instititution just outside of Boston where I remember visiting one of my own friends in the last year of high school. Though he has since lived in California and London, and though his signature voice retains the barest hint of southern twang under that clear-as-a-bell blueblood bostonian accent, like me, Taylor has always returned to the Massachusetts he loves. Today, he lives about thirty miles west of here, in the Berkshires, just on the other side of the Adirondack ridge. And he retains strong ties to his beloved Martha’s Vineyard, performing there each summer, sometimes with Ben and Sally, his children by ex-wife Carly Simon, who is also a Vineyard resident. Beyond our shared love of the beaches and woods of Massachusetts, there’s something immutably local and authentic about my experience with James Taylor. My childhood understanding of and familiarity with folk music as a genre and a recorded phenomenon was primarily driven by a strong record collection at home, but my experience of acoustic music as folk – as something singable and sharable and communal – was peppered with young camp counselors who had learned their guitar licks from the radioplay of the day. For me, Fire and Rain will always be a song for campfire singalongs, one which helps me come to terms with the bittersweet and constant state of being both in good company and away from home. Too, James Taylor was my first concert, and you never forget your first. I remember lying on the summer grass at Great Woods (now the Tweeter Center), looking up at the stars and letting the wave of Fire and Rain wash over me. I remember peering at the stage and recognizing the way James smiled at us, at bass player Leland Sklar, at the song itself as a kind of genuine communion, one which flavored the performance with something valid and universal. 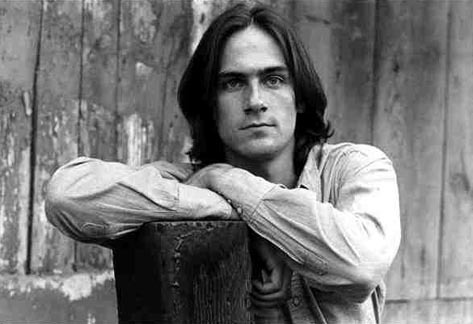 Because of that night, and the organic songs-first-performance-afterwards way I came to it, James Taylor, for me, is the standard by which I measure the authenticity of folk performance. That so many shows have not met that standard since then is a tribute to both Taylor’s gentle nature, and his way with song and performance. 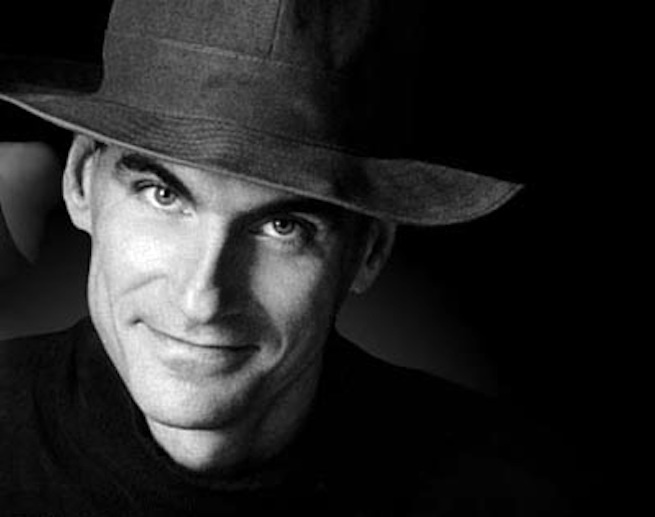 James Taylor’s voice is unmistakable, almost too sweet for some, and he doesn’t fit my every mood. His loose, white-man’s-blues guitar playing is better than most people give him credit for, but it is often downplayed in his produced work. But in the back of my mind his songs are a particular form of homecoming, one intimately tied to summer song and simple times outside of the world as we usually live it. And when I sing Sweet Baby James or You Can Close Your Eyes to my children at night, there’s a part of me that’s back on that summer lawn, letting the music reach a part of me that cannot speak for itself. We’ll have a few choice covers of Taylor’s most popular in the bonus section of today’s megapost. But first, here’s a few of the many songs which Taylor has remade in his own gentle way over the years: doo-wop standards, sweet nighttime paeans and lullabies, hopeful protest songs, and others. Though James Taylor does have his pop side, this isn’t it. You’ve heard ‘em before, so I’ve skipped the covers which Taylor has made his own through radioplay over the years — including Carole King’s Up On The Roof and Marvin Gaye’s How Sweet It Is (To Be Loved By You) — though I did keep a live version of Handy Man in the mix, and thought it worth trying the newer version of You’ve Got A Friend from Taylor’s stripped-down favorites recording One Man Band. I’ve also skipped his lite pianojazz ballad version of How I Know You, from the Aida soundtrack, and the vast bulk of his two recent saccharine-sweet covers albums: it’s not folk, and it’s not my thing. 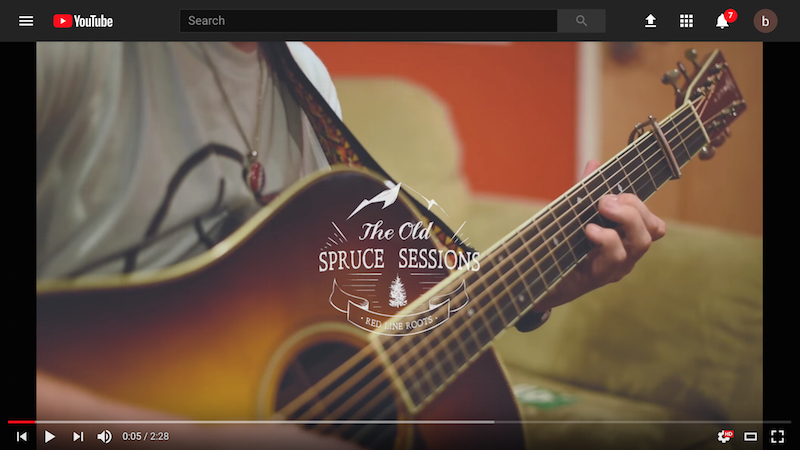 Instead, by presenting a selection of Taylor’s rarer and lesser-known coversong all at once, it is my hope that the diversity of the source material here allows even the most jaded of us to come to what is too-often dismissed as Adult Contemporary pablum with new ears, attuned to more subtle differences of tone and undertone — to explore and even collapse the distance between bittersweet and tender, longing and acceptance, home and homesickness, which continues to make James Taylor worth listening to, and celebrating. James Taylor’s works are mainstream, and distributed as such; his website sends us to amazon.com for purchase. As here at Cover Lay Down we prefer to avoid supporting the corporate middleman in favor of direct artist and label benefit, we recommend that those looking to pursue the songwriting and sound of James Taylor head out to their local record shop for purchase. Not sure where to begin? Anything released between 1968 and 1974 provides the best introduction to JT’s core sound; I promise it’s folkier than you remember. Jaded folkies who stopped listening a while back might take a second look at Taylor’s 1977 release JT, or albums from the late eighties and nineties such as Never Die Young, New Moon Shine or Hourglass, which stand on their own as well-produced contemporary folk. 2007 DVD release One Man Band, Taylor’s return to a sparser acoustic sound, is an anomaly in the midst of an otherwise-AAA pop-trending career. And coverlovers who do embrace his smoother side are advised – with caveats – to at least consider his two post-millennial covers albums. As for bonus tracks: for years, I’ve been saving the bulk of my collection of covers of James Taylor originals for a future Folk Family Feature on the Taylor family – including James, brother Livingston, sister Kate, son Ben, daughter Sally, and Ben and Sally’s mother Carly Simon. But I’ve been leaking them slowly and surely as time goes on, and the floodgates are open today. So here’s a full Single Song Sunday-sized set of covers of my favorite lullaby, from Mark Erelli’s tender bedtime crooning to William Fitzsimmons’ fragile indiefolk to a young and drunken Bonnie Raitt’s live heartbreaker. Download the zip file here, or pick and choose below.